London is bursting with festive spirit as soon as the much awaiting Christmas lights are turned on throughout the capital. When? Tuesday 6th November – Monday 31st December 2018. Nearest Tube: Bond Street Station. This breath-taking display includes a staggering 1778 snowball inspired decorations featuring 750,000 LED lightbulbs. Partnered with Capital XTRA (UK’s leading Urban radio station) Oxford Street will be brimming with a diverse range of artists and DJ’s to ensure you have a fabulous evening shopping, entering giveaways and getting into the festive spirit. When? Tuesday 13th November – Wednesday 2nd January 2018. Nearest Tube: Covent Garden Station, Leicester Square Station, Charing Cross Station. Another highlight this year is the return of the glorious Covent Garden Christmas theme. Covent Garden’s cobbled piazza transforms into a spectacular array of decorations with a mistletoe theme for 2018. Over 40 mistletoe chandeliers are hanging over the excited shoppers and visitors throughout the beautiful area of central London. Once again the huge Christmas tree has made an appearance along with the exceptional giant silver reindeer and its selection of gifts placed on top of a festively Green classic car. Christmas Mistletoe lights hanging throughout Apple Market, Covent Garden. When? Thursday 15th November – Monday 31st December 2018. Nearest Tube: Oxford Circus Station. The ultimate Christmas throwback is taking place this year with the stunning Regent Street Christmas makeover. Gracing one of the major shopping streets in the west end of London is a display based on the first set of Christmas lights which went up in 1954. This extravagant display will run all the way from Oxford Circus to Waterloo Place via Piccadilly and form part of a wider display. The Spirit of Christmas lights will be making an appearance again this year with those beautiful golden angels hovering above. When? Thursday 6th December – Saturday 5th January 2018. Nearest Tube: Charing Cross Station, Leicester Square Station, Embankment Underground Station, Piccadilly Circus Station. A legendary giant Norwegian spruce has been an annual gift to London from the people of Norway since 1947 a gift to symbolise the appreciation of Britain’s support during the Second World War. Rising 25 metres above the crowds of Trafalgar Square, the famous tree will be decorated with around 900 lightbulbs as spectators soak up the magical atmosphere throughout the month of festivities. When? Thursday 5th November – Sunday 6th January 2018. Nearest Tube: Picadilly Circus Underground Station, Oxford Circus Underground Station. Carnaby is an amazing view of the festivities of Christmas with a twist, each year showcases outstanding themes and this year is no different as they collaborate with 20th Century Fox to bring a breath-taking Bohemian Rhapsody theme tied to this year’s festivities. 14 streets all coloured in bright neon lights with Bohemian Rhapsody lyrics across each street. This is a perfect place for a spot of Christmas shopping with unique independent boutiques, bite to eat and truly kick off the Christmas season. Carnaby is a must if you want Christmas with a twist. The modern colorful Christmas lights attract and encourage people to the streets. Christmas offers the perfect excuse to reward those which have worked hard throughout the year and the perfect excuse for a celebration. 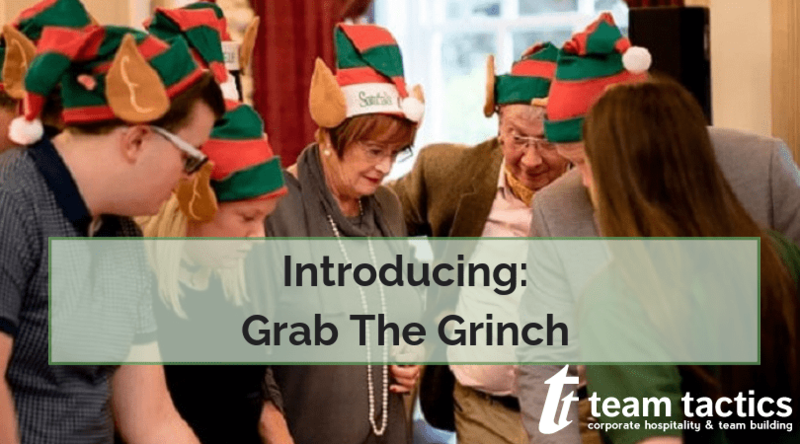 We all know the standard Christmas party set up can be a bit repetitive and tedious, so why not treat your team to an unforgettable Christmas celebration! 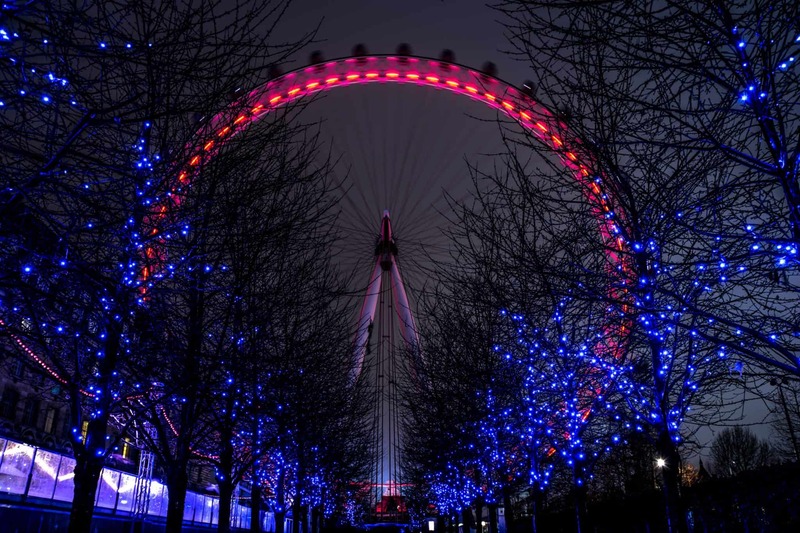 Our Yuletide Treasure Hunts provide the perfect way to witness some of the magical Christmas lights throughout London. Teams must explore areas such as Covent Garden and Trafalgar Square solving clues and uncovering hidden truths about the capital. 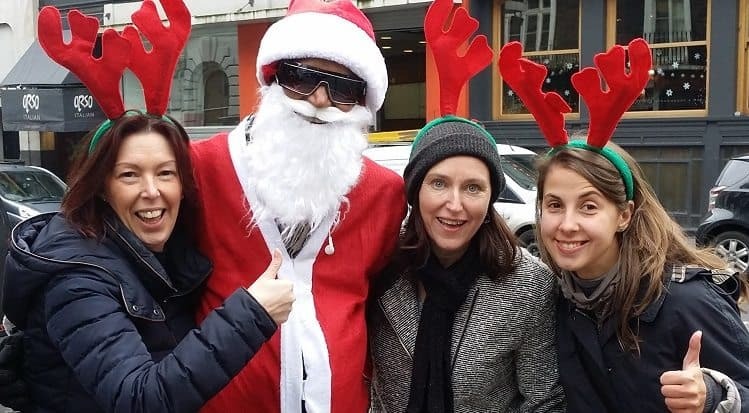 Location based questions, general knowledge trivia fun filled photo challenges will lead teams around the beautiful festive streets of London in a fast-paced Christmas themed festive challenge. Combining the challenge with a delicious Christmas meal in a cosy wine bar is a great way to reward staff throughout December. 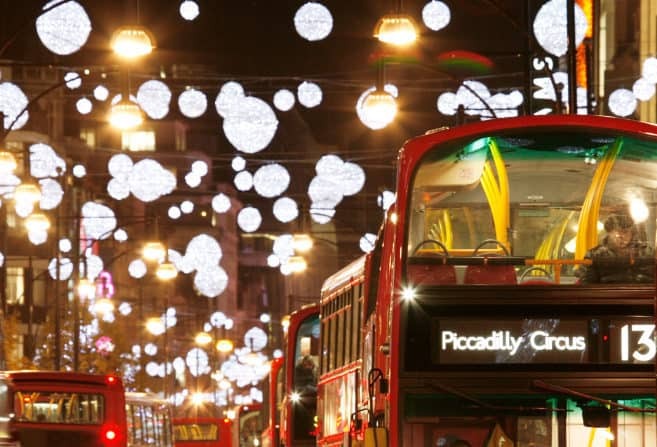 London has truly outdone themselves with Christmas festivities, No matter where you look there are absolutely stunning Christmas lights filling our streets whether it’s in Southbank at the London Eye, Leicester Square or even Canary Wharf there are some stunning displays all around this Christmas Season.